How do I sign up for an Alo Moves Membership? 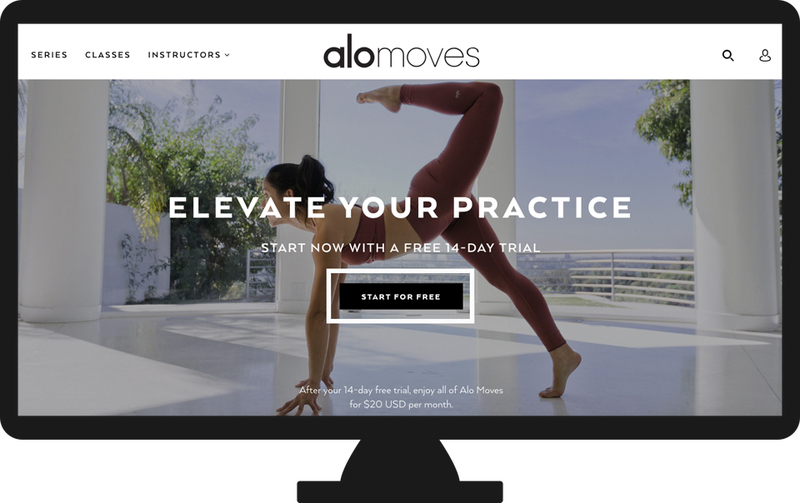 You can sign up for an Alo Moves Membership by heading to: www.alomoves.com/membership, and either selecting our Monthly payment option for $20/month, or our Annual payment option for $199/year. Not sure you're ready to sign up? No worries! We offer a 14-day free trial to make sure that Alo Moves is the right online yoga website for you. If you love it and don't cancel before your free trial is up, you will automatically be considered an Alo Moves member, and will be charged your monthly $20 membership fee, or $199 for your yearly fee (depending on which you choose). Know that you can sign up for Alo Moves both online and in your mobile app. Once you sign up for an Alo Moves Membership, you will have full access to all membership benefits online and when you log into our mobile apps!